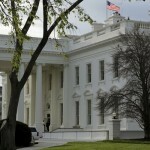 Police have taken into custody a person carrying a suspicious package and caught scaling a White House fence Sunday. The individual was quickly apprehended after attempting to climb the fence on the south side of the house, according to the Secret Service’s Brian Leary. The person is in custody and charges are pending. Police did not disclose the gender or identity of the jumper. The package was examined and later declared harmless, a Secret Service source told CNN. Read more at CNN.